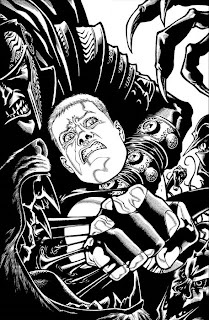 We're approving to print issue 1 of LOCKE & KEY: CROWN OF SHADOWS, the first chapter of the third installment of the acclaimed series. So it's officially coming, in early November. 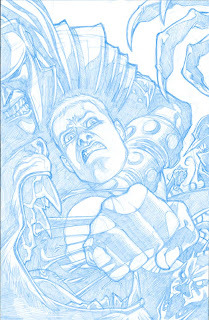 And looking beyond that, at issue 3 coming in January, here are Gabriel Rodriguez's pencils and inks for the cover to issue 3. Finished version to come. 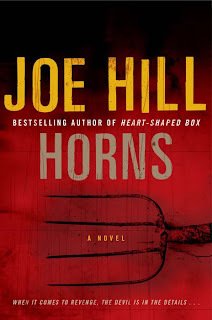 As an added bonus in issue 3, we're going to be running an advance look at Joe Hill's new novel, HORNS, due in February. We're going to give a nice preview of the novel, running the first three chapters in the back of the issue. You know how I know you're Gaydos?